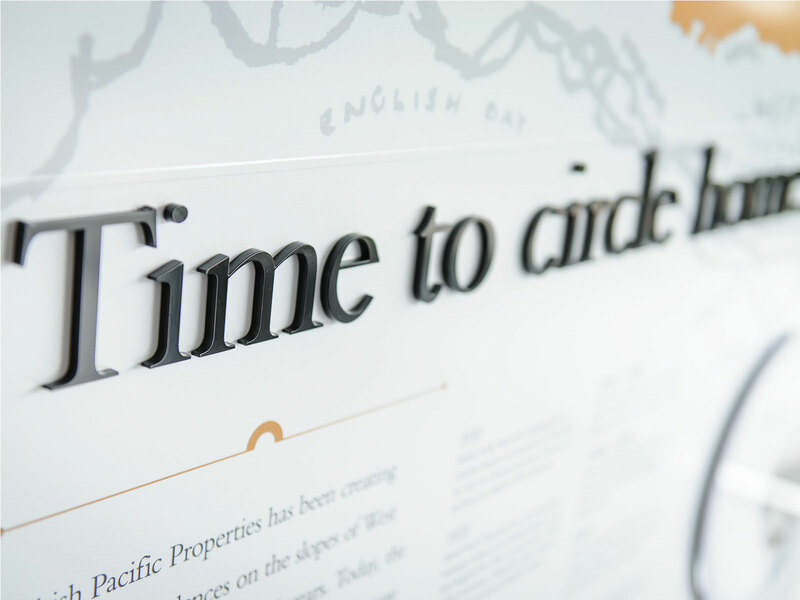 British Pacific Properties, the company known for West Vancouver icons such as the Lions Gate Bridge, Capilano Golf Course and Park Royal Shopping Centre, has a tradition of excellence. To launch Aston Hill, the company’s first collection of semi-detached homes, BPP enlisted Signals’ expertise. Rather than a conventional sales centre, BPP wanted to create an environment that would lend itself to contemplation and thought. 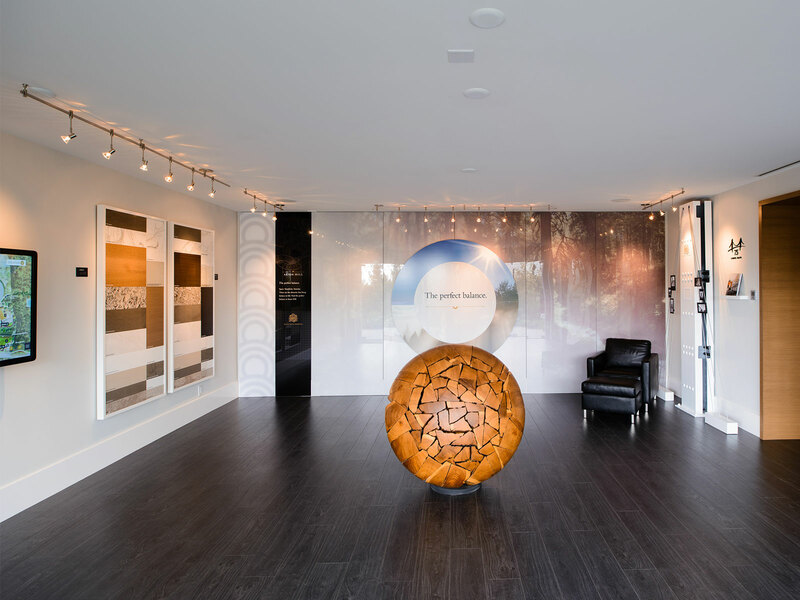 The concept for Aston Hill Collection was to create a presentation gallery at the show home where visitors could interact with different public art pieces and exhibits. We used a mix of materials – glass, steel, a wooden sculpture by Brent Comber and interactive touch screens – to create the perfect balance of tradition and technology. Builder of the iconic Lions Gate Bridge and the original British Properties, BPP has a long history in West Vancouver. 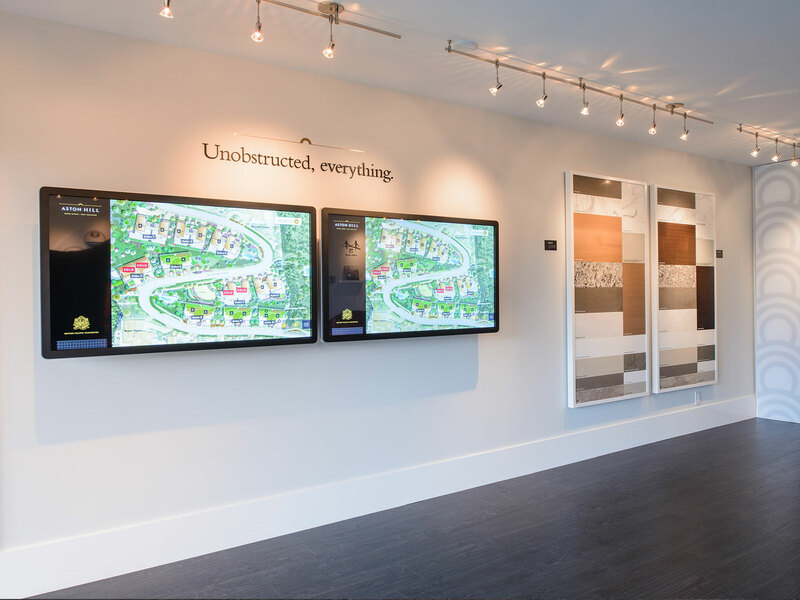 We showcased that history in a feature display of the opening of the Lions Gate Bridge and a wall dedicated to the the company’s story. Opposite the history wall, visitors can explore the new community, exploring its spectacular views and features on widescreen monitors. We were tasked with building on British Pacific Properties tradition of excellence. 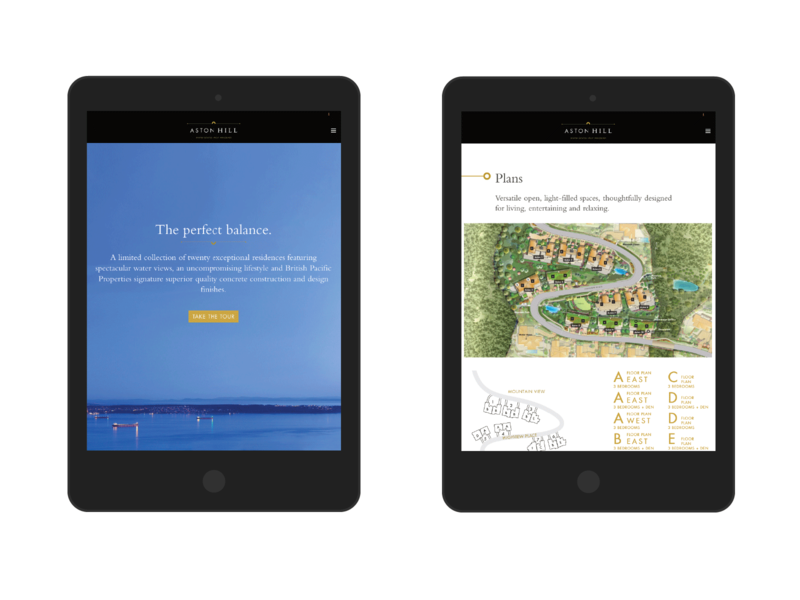 We started with the company’s hallmark crest, exploring a number of simple, modern symbols and accents. We chose a palette of black, gold & grey to reflect the rich qualities that distinguish Aston Hill. The modern classic theme was carried into the typography. At Aston Hill, the circle represents both physical and spiritual elements that bring balance to life and home: spectacular views, high quality finishing, and seamless integration of streetscape with landscape. 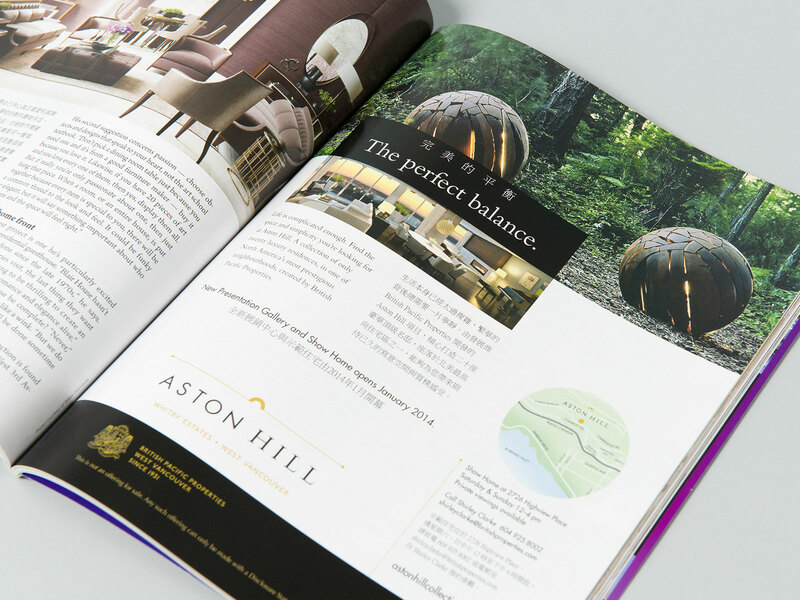 We positioned Aston Hill as “the perfect balance” of luxury and simplicity, of tradition and modernity, and we carried that concept through to the Aston Hill sales environment.